If you store it, insure it! 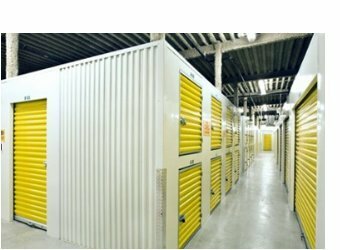 If your goods are worth storing, they are worth protecting with an insurance policy that is specifically designed for self storage customers - most household policies do not offer such cover. Our self storage insurance provides you with peace of mind should the worst happen and includes cover against the named perils. Our cover is flexible and convenient to suit your individual needs. Insure your home and business goods for the amount you want for the period you want and manage your account online. Our online service provides secure, convenient access to your flexible cover 24 hours a day, 7 days a week. Login to make a claim, amend or cancel your policy or manage your account. You can also get a quote and take out self storage insurance online, providing instant cover for your valuable goods. © 2019 NSIP Services Limited registered in England No. 09666611. NSIP Services Ltd Registered Office 28 Alexandra Terrace, Exmouth, Devon, United Kingdom, EX8 1BD. NSIP Services Ltd is authorised and regulated by the Financial Conduct Authority (Firm Registration No. 734636). NSIP Services Ltd products are underwritten by Royal & Sun Alliance Insurance plc (No. 93792). Registered in England and Wales at St Mark's Court, Chart Way, Horsham, West Sussex, RH12 1XL. Authorised by the Prudential Regulation Authority and regulated by the Financial Conduct Authority and the Prudential Regulation Authority (Financial Services Register No. 202323). References to monthly payments equate to rolling 28 day period. Load n Lock Storage and Van Hire is authorised representative of NSIP Services Ltd.